Old Home Days is a long tradition in these parts. At Popolo we don’t ask the far flung sons and daughters of the countryside to return to their ancestral soil. That the now literal intent of the holiday. The environment is full of transplants and it seems unlikely the departed sons and daughters are returning. 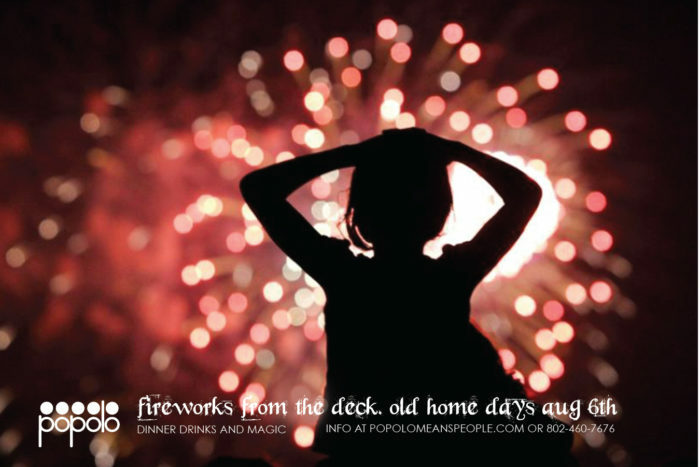 Instead, we invite our friends to come dine and drink on the open deck of Popolo, along America’s first canal, under the starry sky over Fall Mountain, to revel in the splendor of celebratory fireworks. It’s been a great time in the past and promises to be so again this year. Admission is free but reservations are required. Seating is limited on the deck and we can only hold your seat for 15 minutes from the time of your reservation.